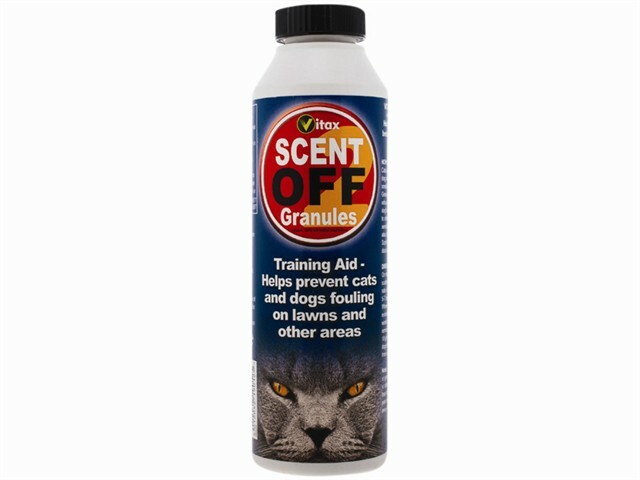 Vitax Ready-To-Use Scent Off Granules can be used as an animal training aid to help keep lawns, beds and borders free from fouling. The strong perfumed odour masks scents from previous fouling. Containing plant oils, Scent Off Granules are suitable for use in children's play areas. The Granules can be applied directly from the pack to the area to be treated. For best results, it is important that all animal droppings and smells are removed prior to using the deterrent product. Animal smells can be broken down by treating the area with a weak biological detergent. Children and pets need not be excluded from treated areas.